Below are videos and links to training guides created to help farmers market managers learn to collect and share data on the impact of their markets. 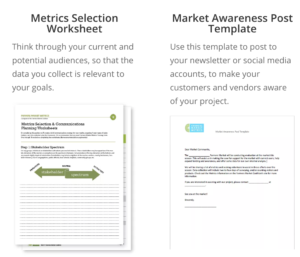 Register for our metrics program to receive access to the Farmers Market Coalition’s data portal where you can create attractive graphics for analyzing and sharing your metrics. This video gives an excellent overview of the Farmers Market Coalition’s metrics system. 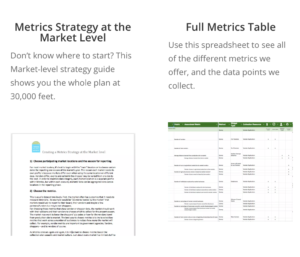 The Farmers Market Coalition’s Metrics Guide Website is an incredible resource with everything you need to know to start collecting data. Some key features are linked below. Farmers Market Metrics Training Guide Site – The home page – a great place to start!